There are 10,234 state parks in the United States. We have visited 110 of these parks over the past three years between Texas, Oklahoma, Arkansas, Kansas, Missouri, Illinois, Kentucky, Tennessee, and California. Many of these are extremely basic locations where one can camp, fish or swim, but others are amazing with sites to rival the National Parks. We discovered the state parks while we lived in Texas where one can find over 100 parks. These parks will show you the best the state has to offer with historic locations, caves, gulf coast beaches, mountains, canyons and so much more. 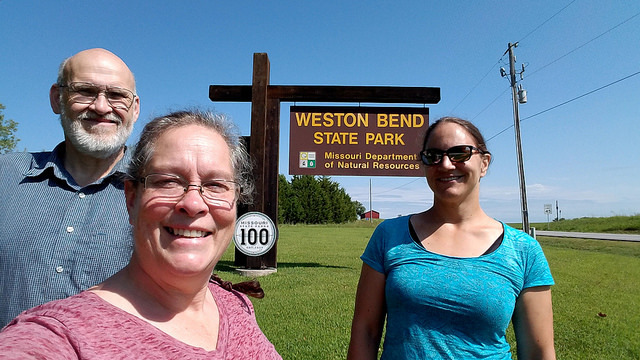 When we began the visiting of Texas State Parks we did not realize exactly what our plan was, but we knew it would entail a photo of us and a park sign. This came from me reading the book Dear Bob and Sue by Matt and Karen Smith. This couple decided to visit all 59 of the National Parks and they would get a photo of them by the park sign. I told Scott about this and we decided to start locally with Texas State Parks, there couldn’t be anywhere near that amount of state parks. This comes from lack of research before starting a project. 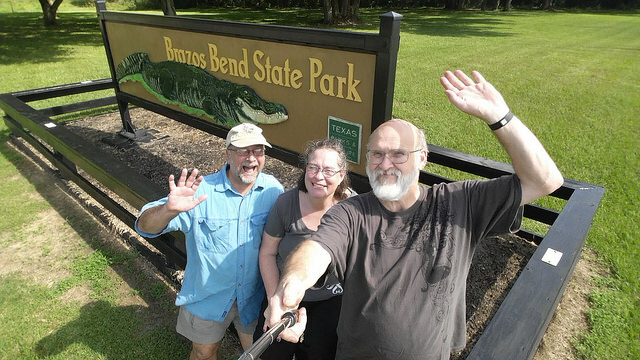 Our Inspiration – Bob and Sue taught us the importance of taking a good sign photo. We do hope we make them proud with ours. Some of these parks we have camped at, while others we have just spent a few hours driving through to see what was available. Because we often are trying to cover as much road as possible we find we do not spend as much time doing everything available. Many times we find a park deserves more attention and will return to it to explore in more depth. 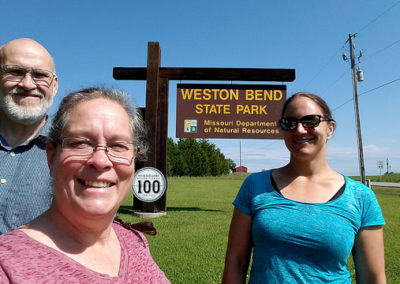 Sometimes time constraints do not allow us to give a park the attention it deserves, which is unfortunate, but when you have over 10,000 parks to visit something has to give. We have rarely found a park we did not enjoy and wish we could spend more time, but there have been a few. This is not because they are not good places, just not a place that fits with our travels. Each of us has a specific measure we look at each park with. 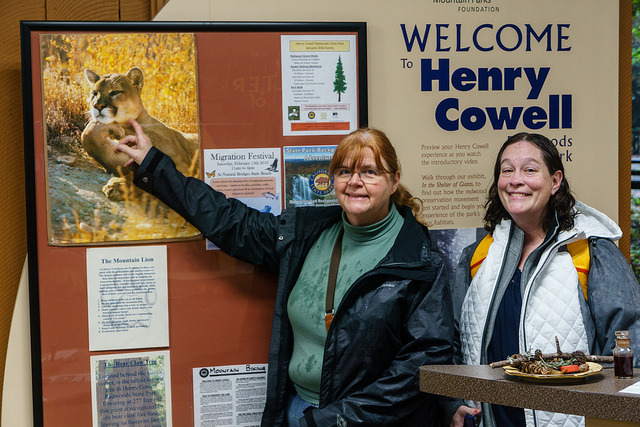 For me it is the activities and interaction the park staff and volunteers has with its guests; of course, I think this has to do with my park hosting and other volunteer activities I am involved with. Scott looks for what makes each park unique. 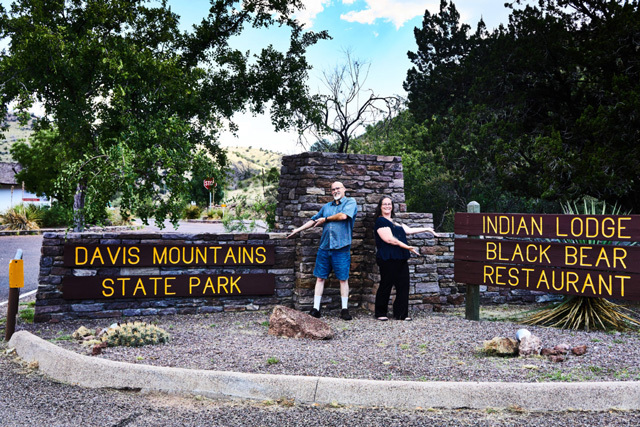 There are so many parks that seem to not stand out because they are mainly focused on camping and fishing while the parks he seems to be drawn to are places like Davis Mountains State Park, Caprock Canyon State Park, and Dinosaur Valley State Park. So far, as state parks go, Texas has had the most diverse parks, but we cannot really compare other states to them because we have been to so few of them outside of Texas. We have been fortunate to spend some of our state park time with friends and family. 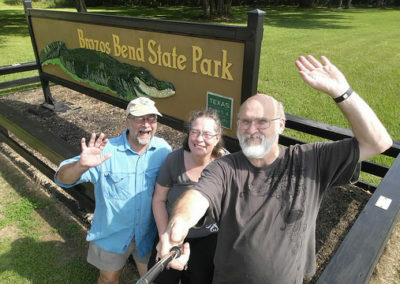 Luckily they have all been willing to stand with us as we take a sign photo to help us celebrate another state park being ticked off the list. Both of us wish we could share the parks with more of our friends and hopefully, this will happen more often in the future. When we are able to share a park with our friends, we find we spend more time exploring the park and what it has to offer, giving us a chance to see more of the location’s uniqueness. Scott and I took a little bit of time and gathered up some of our favorite photos to share with you today. What are some of the traditions that you have when you visit a place? We would love to hear and see about them. Thanks so much for taking the time to visit with us today and we do hope you have some amazing travels.